Want to learn more? We’re here to help! Call us at 402-932-7300. 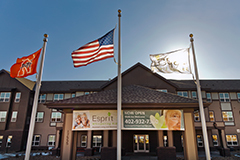 At Esprit, we can offer assistance with your senior living options. Whether you’re just starting to look at retirement communities or need help right away, our professionals have the expertise to help you with your decision.